A few weeks back, I had the absolute pleasure of visiting Dermalogica’s Head Office to receive ProSkin 60 Treatment. and let me tell you it was an absolute bloody treat. This was a 60-minute treatment which was beyond comprehensive, and customised to address all the skin care concerns that I had. as the company is founded on education, my AESTHETICIAN sheeba answered all (yes all) of my skincare questions and and best products for my skin. also was able to share all the latest and greatest products that had recently launched, many of which came home with me as i had to incorporate them into my skincare immediately. Combination, dehydrated at times (despite drinking a ridiculous amount of water and always moisturising… I blame living in Southern California), slight hyper pigmentation and the occasional breakout. what it does: step one of that double cleanse and in fact will enable the cleanser to work that much better. removes it all (yes even if you have a full face of makeup) whilst conditioning essential fatty to nourish your skin. how to use: one pump and apply all over your dry (yes make sure it is dry) face and eyes. really get in on the areas of heavy makeup and or congestion. as you add a little bit of water you’ll start to notice a somewhat milky emulsion. Rinse with warm water. what it does: Rice-based powder which when water is added, releases Papain, Salicylic Acid and Rice Enzymes that micro-exfoliate dead cells. leaves the skin brighter and smoother. how to use: one small shake (1/2 teaspoon) and add a little bit of water to create a creamy paste by rubbing it all together. Apply to face in circular motions for 45 sec-1 min. do not worry as it is Gentle enough for daily use, just make sure to avoid the eye area. what it does: two-in-one cleanser and exfoliant. contains A highly-active Lactic Acid concentrate Helps accelerate cell turnover, hydrate and brighten. also has Vitamin E which conditions, and Rose Flower Oil which calms the skin. how to use: lightly lather in hands and apply to damp face, massaging in circular motion for 30 sec- 1 min. all skin types are different and thus If you experience sensitivity or dehydration from daily (twice a day) use, then reduce to a few times/week. what it does: fresh facial spritz packed with moisture-binding humectants and Lavender, Balm Mint and Arnica. all meant to help with moisture absorption as well as even out skin porosity. how to use: 3-4 sprays directly over the entire face and throat with eyes closed. what it does: Retinol Microspheres delivers potent age-fighting actives to help reduce the appearance of fine lines. Microencapsulated Niacinamide and Ash Tree Bark Extract hydrates whilst reducing dark circles. click here for the breakdown of what exactly retinol is. how to use: when first using, start out by every 2-3 days for the first 14 days. As your skin gets use to the retinol, you can then use nightly by patting around the eye area (lightly and gently, i use my ring finger). what it does: a combination of Hyaluronic Acid, Panthenol, Glycolipids and Algae Extract to relieves dryness and minimises fine lines. how to use: one small squeeze massage and gently over face and throat before moisturising. what it does: Powered by Active HydraMesh Technology™ to help reduce Trans-Epidermal Water Loss and infuse skin with 48 hours of maximum moisture. the combination of hyaluronic Acid with Mallow, Cucumber and Arnica Provides 48 hours of continuous hydration. how to use: apply 1 small squeeze all over face and throat. morning and night use. also pictured is the sebum clearing masque which i use when my skin is acting up. massively helps clear and prevent breakouts. when used, this is used after my face has been cleansed. what it does: Oil absorbing clays detoxifies and Salicylic Acid naturally exfoliates to help clear pore congestion. how to use: Apply either a smooth layer all over the face or exclusively in the t-zone or any problematic area. leave on for 10-15 min and rinse thoroughly. 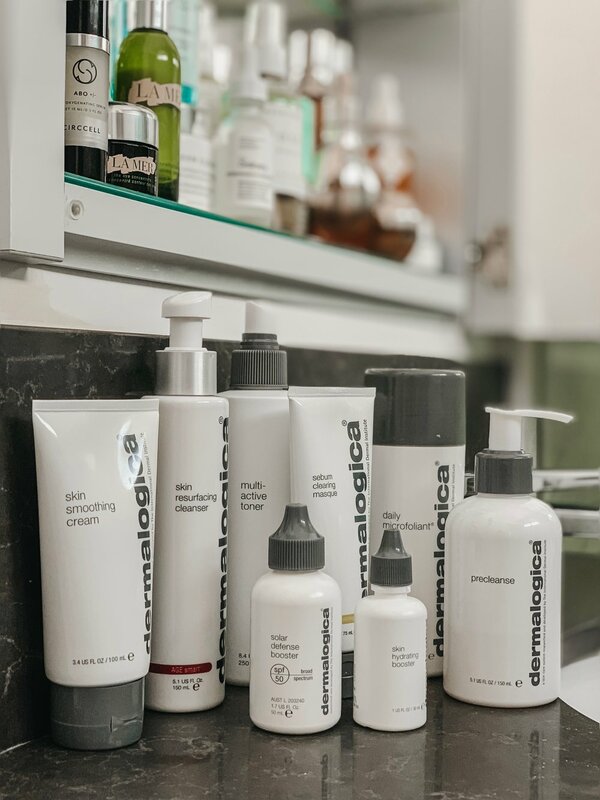 look into these products and have a try//and let me know your thoughts as i would love to know how you got on with incorporating pieces into your skincare regimen or switching over entirely! © 2018 LANI TON-Nu. all rights reserved.